Many of us have pictures of hairstyles saved in our phones, our Instagram’s and on our Pinterest boards. And somewhere in that collection, there must be at least one French braid hairdo you have been meaning to do but you don’t have the cash to head to your local hair stylist. 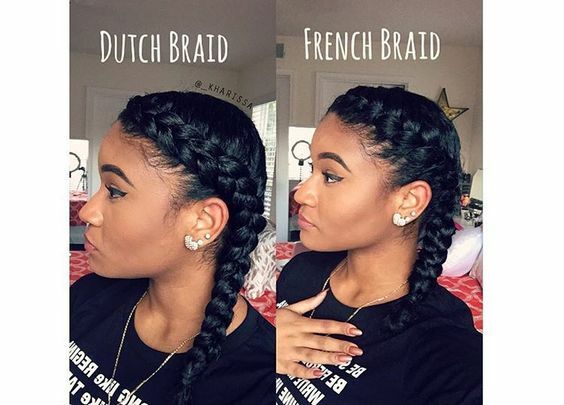 Well, thanks to the internet and you landing on this article, you can finally recreate the French braid style you have been meaning or wanting to do. And no, you don’t have to be a professional to pull it off. You just need a few household items and to let go of your apprehensions to have the hairstyle you’ve always liked. French braids are a braided hairstyle where sections of hair are braided together to form a consistent woven pattern. The origins of the style can be traced back to North Africa, specifically in the mountains of Tassili n’Ajjer located in Algeria where there is 6000 year old rock art depicting women with three stranded braids. The style travelled north to Greece where it would be seen on statues, celtic warriors and lasses before it spread to the rest of Europe. There are many different variations of this style – it can be worn up or down, be plain as Jane or look like a complicated maze. 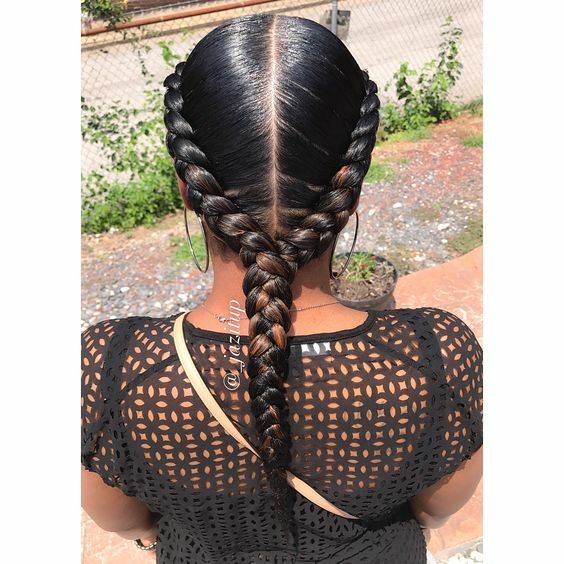 The most common is the two braided style where the hair is divided into two sections and plaited down in a three stranded braid. 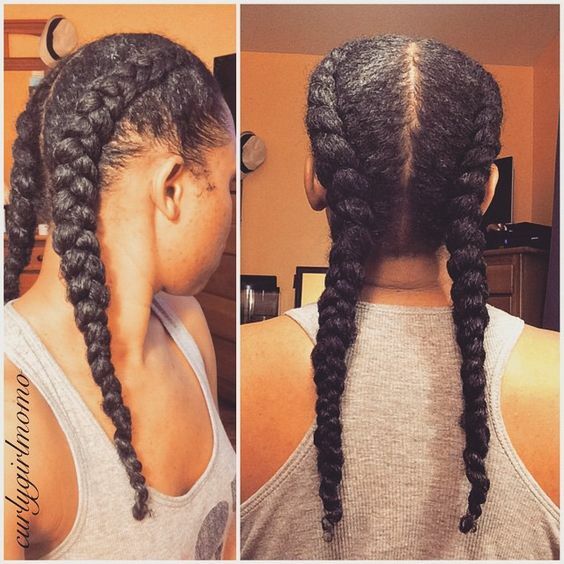 This low manipulation protective style can last anything between one to two weeks. It’s just as easy to put on as it is to take out and it helps grow your hair. Budget between 45 minutes to an hour (depending on how long and thick your hair is) to complete the style. Wash and moisturize your hair first. Ensure that your scalp is clean and detangle hair before you start braiding. Tie the hair you are not braiding to prevent confusion. Add a coin size of sealant and distribute evenly on your hair while combing. Separate hair at your hairline and divide into three. Each piece should be 0.5 inches (1.3cm) in size and should be equal to make the braid look uniform. Weave the last (or back) portion strand under the middle section strand so that it is the centre piece. Then take the first (or front) and cross it under the center so it becomes the main strand. Pull strands tightly to prevent slipping. Feed new pieces of hair as you braid backwards and repeat step five. Ensure that equal amounts are added to as you braid along to maintain continuity. Use an elastic band to secure the hair at the bottom of the braid. Ensure to add sealant to your ends to protect them. Apply hair mousse to small pieces of hair left sticking out. Take the other half of unbraided hair from it’s ponytail and follow steps six to ten. Spray hair sheen to complete. Because the French braid is an easy hairstyle to manage, you won’t need to fuss with your hair too much. Wrap your hair in silk bonnet or use a satin or silk pillow before going to bed. Clean your hair. Use apple cider vinegar diluted with water and apply to a cotton ball. Gently rub the cotton ball onto your scalp to remove dirt and do it slowly prevent from interfering with braids. Spray your hair with water and leave-in conditioner to hair on a daily basis to keep your scalp moisturized. Try different styles once you feel comfortable with braiding. It gives you the ability to switch up your style without doing something drastic to your hair. Scratch and over touch your hair. Keep the French braids for more than three weeks. This is to prevent build up in your hair which clogs up your hair follicles. Give up. If you don’t get it right the first time, try again. Braiding does get frustrating sometimes and the trick to getting better is to keep doing it until you get it. If you like your result, share the magic with your friends and tell us what you think!